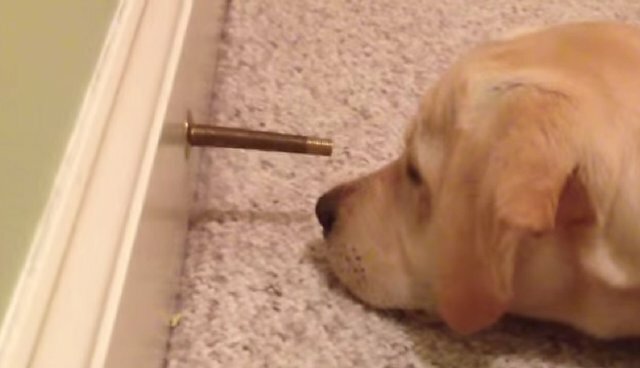 Stella the puppy is fascinated by this bouncy doorstop, and is determined to figure out what the heck makes this bizarre contraption work?! 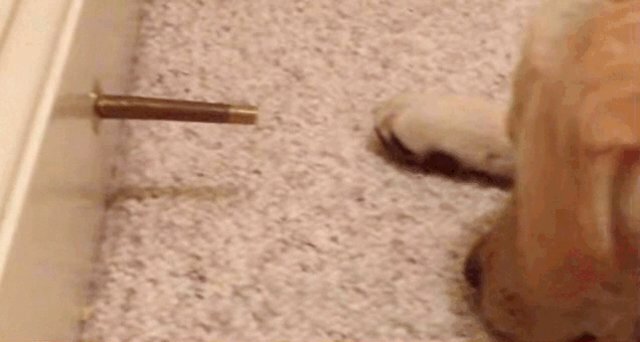 Pouncing and pawing are probably the best ways to investigate, right? As it turns out, doorstops can make pretty fun toys. After all, they may be one of the few things that has as much energy as a puppy! And regular chew toys are SO passé anyway. *Editor's note: be sure to keep unsafe household items away from your pet!